Two Print Impressions in a rectangular shape with name, year, two colors and border design $58. You choose block or curly script. 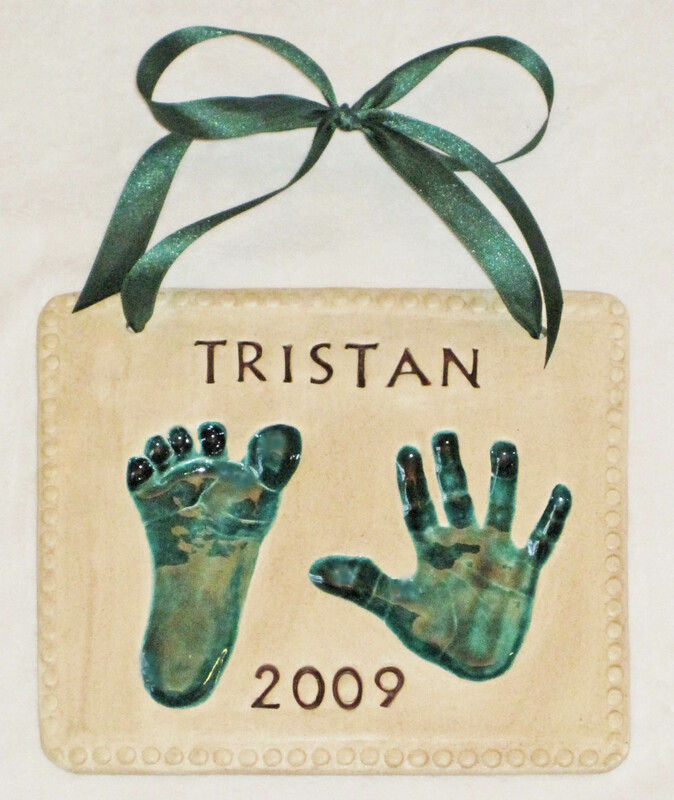 Name can either be hand painted, engraved (pictured) or stamped. Includes ribbon for hanging, current age and birthdate engraved on back.